Welcome to the Massive Marketing Success System! Join me in TrafficLeads2IncomeVM HERE, which is the first step in setting up your list building lead capture page. If you came across this page after filling out a lead capture form, check your email for your sponsor’s join link for Trafficleads2incomeVM. (TrafficLeads2IncomeVM is a viral mailer, which means you can advertise via email to their members. It also has a lead capture page system.) Now enjoy 10000 Credits via this Promo Code: MMSBlog – If you are already a member of Trafficleads2income, there is no need to rejoin. You may have made it here direct from your signup, if so, WELCOME!!! Next, consider a Graduate Upgrade at Trafficleads2incomeVM. It maximizes your MMS Set Up. Learn more about this upgrade in Step 1 of the 7 Steps to Success in your Trafficleads2incomeVM back office. 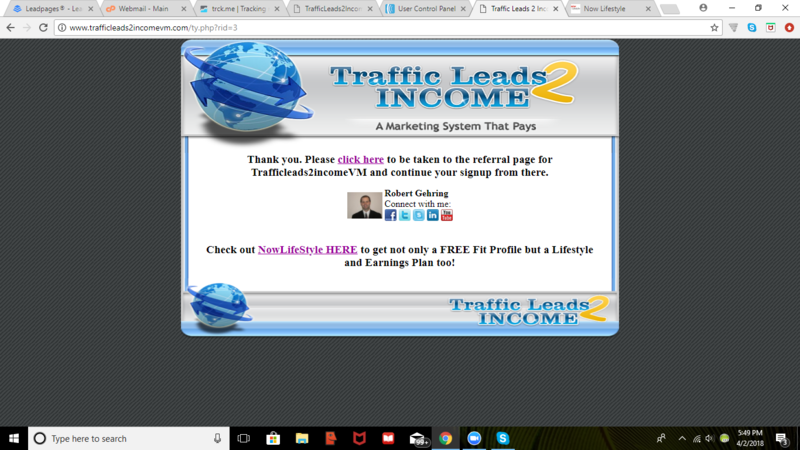 Login to Trafficleads2incomeVM HERE. Once you follow the instructions in Step 1 and purchase an upgrade, your account will be upgraded to the Graduate Level and you’ll be able to access Step 2 of the 7 Step set up. The Free 30 Day Upgrade mentioned in Step 1 encourages you to join Team2Profit in the Income Section of the TL2IVM Downline Builder which will expose you to NowLifestyle. NowLifestyle not only adds powerful income potential to this system; but also a powerful strategy to shed pounds as well as all the associated health problems that go with being overweight. Diet, Exercise, Income; now that is what I call a NOW Lifestyle! The Team2Profit Upgrade takes you to a different set of training steps, not the 7 Steps at Trafficleads2incomeVM. The Massive Marketing Success system is a method I am using to promote a branded lead capture/squeeze page that generates leads for my Primary Business and can be applied to all opportunities. The reason you would want to use a page like this is you gain additional credibility when your page is unique and personal. In other words, not just another company page plus these are real time leads your are generating! Other elements of income from this plan can be derived from Trafficleads2incomeVM, NowLifestyle, and Referral Frenzy…all in the Trafficleads2incomeVM Downline Builder! So essentially, you are generating leads for these as well and possibly some of your own resources too! If you use another auto responder outside of NowLifestyle/Sendshark, that is fine as the system is adaptable. Your sponsor gives their Auto Responder Recommendation in Step 2 inside Trafficleads2incomeVM. The setup that follows is a NowLifeStyle example setup. Follow the 7 Step Marketing System in Trafficleads2incomeVM. In Step 2, you are going to need an autoresponder and if your are a Member of or Join NowLifestyle, you will have that and much more with Sendshark which is built into NLS. You will find the steps begin on the Home Page after you first log in to the members area. The First Step is right on that page. Before leaving Step 1, make sure you enter the promo code there to get your Bonus Credits. Read the details and the options of the Graduate Upgrade, then lock it in! Once your upgrade is set, you will be able to continue your training in Step 2. Before you move forward, Go to your Profile at Trafficleads2incomeVM. Where it indicates AutoResponder, enter your affiliate url for (NowLifestyle/Sendshark) or whichever autoresponder you are using. Where it asks for Primary Business, place your primary business opportunity URL there. 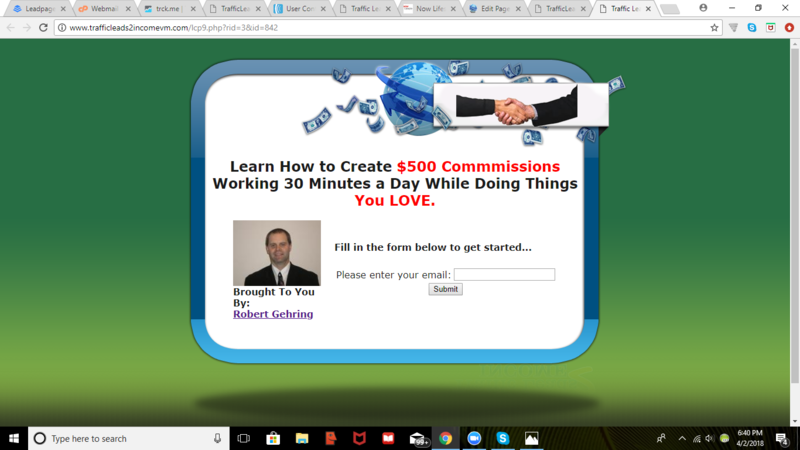 (Including the http:// ) Also go to the Downline Builder at TrafficLeads2IncomeVM and add your Referral IDs; then Update. Getting your links in the DLB is critical so you can receive signups in these programs from your Trafficleads2incomevm referrals. http://www.trafficleads2incomevm.com/ty.php?rid=x (replace x with your id number from TL2IVM). You can edit your thankyou page to your own customizations. Feel free to copy my format, my ID is 3. There are many different approaches you can take on a thank you page. By default, the thank you page promotes Trafficleads2incomeVM which then can promote your resources and opportunities through the downline builder. You can also opt to promote your primary business directly on the thank you page as well. Additionally, you can bypass the TL2IVM thank you page and go right to your company sales page. Finally, if you have customized this blog you can use it as your thank you page too. Remember, the thank you page is defined in your autoresponder form code. At this point please follow the instructions laid out in the video below which review the set up with you. This guides you through the first 5 Steps with Sendshark (Nowlifestyle) as the chosen Autoresponder. Review Step C below as well for some additional details. Here is the shared campaign code to upload the email campaign: LbUmLRe0EOdv Just make sure you change my details to yours. Now go back to TrafficLeads2IncomeVM. While you still on Step 4, again you can edit your thank you page, adding a link to your Company’s or your Personal (Bridge) Sales Page as shown above ( You could also add video embed code to make a personal introduction to your Sales Page right from the thank you Page. This eliminates the need for a separate Bridge page.) You can also simply leave the thank you as is, so you bring your leads to Trafficleads2incomeVM and the 7 Steps to Success training system. Tip: When setting up links in a custom Blog or Webpage, always choose the option to open up in a new window which is also known as Target _blank. Your new MMS System now gives you a special list building lead capture page that will bring people to your MMS System, where they will have all the tools and support to build their own TL2IVM and other downlines as well as Drive Leads to Their Primary Business! Skype me at rob.gehring for entry into our Skype Group. Also see my Custom Funnel offer in Trafficleads2incomeVM, Step 7 of the 7 Steps to Your Success!